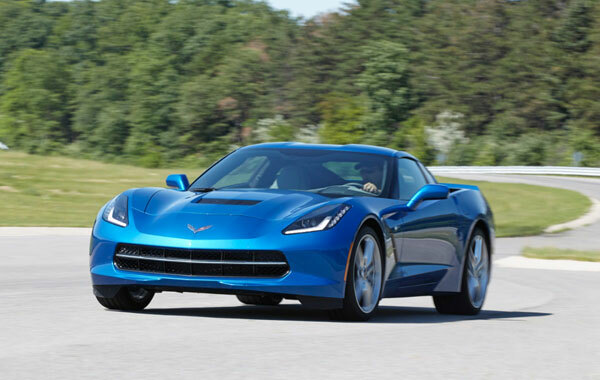 General Motors claims that its new car Corvette Stingray offers better gas mileage than the Porsche 911 Carrera A. It is expected to deliver upto 17 miles per gallon on city roads and upto a whooping 29 mpg on highways. With its top competitor Porsche 911 Carrera A offering 19 mpg in the city and 27 on the highway, Stingray has been inferred the title of the most fuel efficient sports car in the auto market. This wonder fuel efficiency has been achieved by general Motors by integrating a host of fuel-saving technologies. One notable technology is for Stingrays equipped with seven-speed manual transmission. Its eight-cylinder engine is capable of flipping into a four-cylinder one when one does not need extra power. Thus, fuel is saved effectively when there are light engine loads. There are two modes that the driver can switch between. The default “Tour” mode can deliver 28 mpg on highways and the “Eco” mode can deliver upto 30 mpg on highways. In Stingrays with six-speed automatic, there is Active Fuel Management activated in all its driving modes till the steering-wheel paddles are used to shift into the manual-shift mode. The fuel economy estimates for this version are yet to be finalized. The coupe version of the awaited Corvette Stingray is to be revealed in January 2014 in Detroit. The convertible version will be released towards the end of 2014. This highly efficient sports car sets a whole new benchmark for modern cars with the use of state of the art technology to provide a higher mpg. The Stingray also boasts of an eight-cylinder, 6.2-litre engine that can generate upto 455 horsepower. This is a 6% increase over its predecessor. In comparison to other sports cars that offer about 455 HP, the Stingray offers considerably high fuel economy. With the use of the latest technologies to economize on fuel with a powerful engine, the Corvette Stingray has set a benchmark and paved the way for more fuel-efficient vehicles.